​​ For a list of 2019 Louisiana junior tournaments recommended for A's & Aces participants, click here. For a list of 2019 Southern Level 1-4 junior tournaments that may be recommended for A's & Aces participants deemed "ready" (based on the number of previous tournaments, the levels and results), click here. To browse photos and info from previous tournaments click here. Note: This tournament is designed as a weekend (Sat-Sun) tournament, with Friday being reserved in case of inclement weather forecasts and/or to accommodate larger draws. Friday matches will not be scheduled before 4:00 pm. Note: This tournament is designed as a one-day (Wednesday) tournament, with Thursday reserved in case of inclement weather or to accommodate larger draws. ​Note: This tournament is designed as a weekend (Sat-Sun) tournament, with Friday being reserved in case of inclement weather forecasts and/or to accommodate larger draws. Friday matches will not be scheduled before 4:00 pm. All participants MUST sign a USTA Medical Release Form before they steps on the court. Please bring your completed form when you are checking in for your first match. Download the form here. Search all LOUISIANA TOURNAMENTS here. Scroll to the appropriate YEAR, then to the MONTH you are interested in. 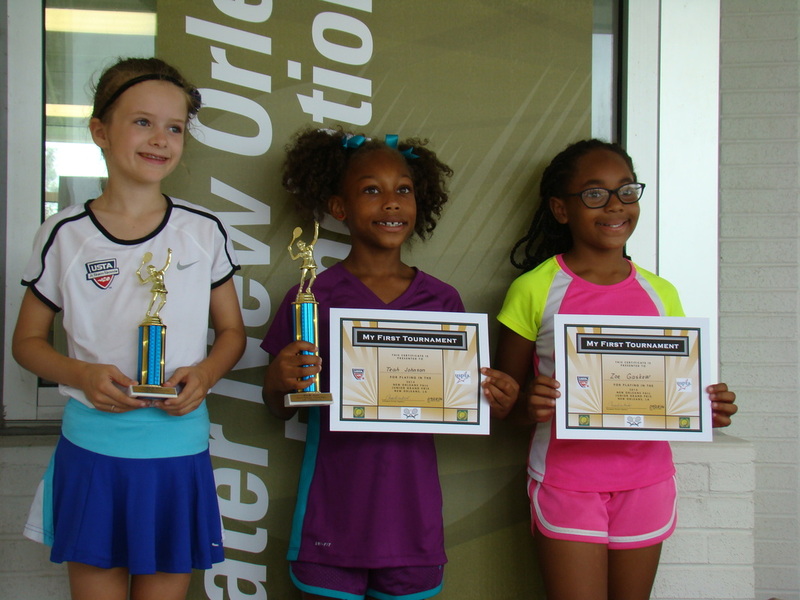 A's & Aces partners with NORD and hosts all tournaments at the City's Joe Brown Park Tennis Center. Its location in the Park (5601 Read Blvd, New Orleans, LA 70127) is indicated on this map. A's & Aces players in the red ball (8s) girls division.